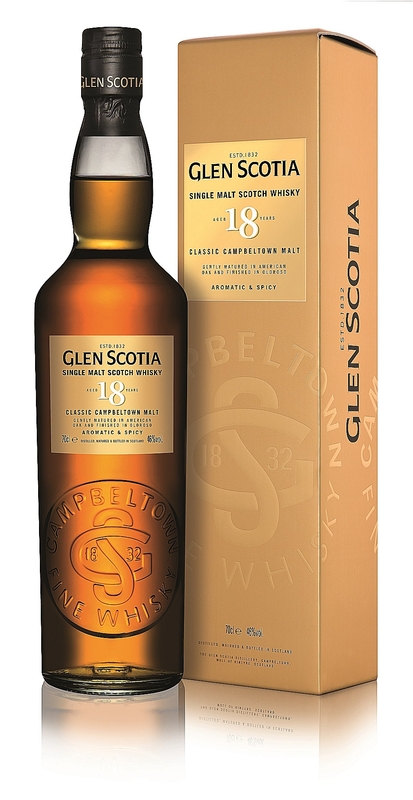 Last month Glen Scotia distillery, one of three Campbeltown distilleries, relaunched their Glen Scotia 18 Year Old expression. 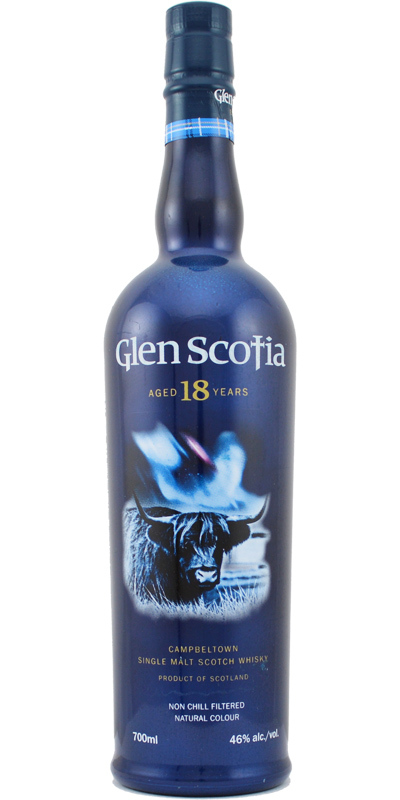 It’s replacing the old 18 Year old expression that exists since 2013 which may be familiar to you because of the blue colors theme of the bottle and label (see image on the right). So only 4 years later, the expression is coming back in a new and more mainstream-y (or perhaps should we see less avant-garde?) packaging and coloring. But the big news are that it also boasts a new liquid recipe. the old version was matured exclusively in ex-bourbon casks and this time the spirit was matured for 17 years in ex-bourbon casks, before married together and finished in Oloroso sherry casks for 12 months. I guess the older version wasn’t doing so well so they tried something else and see if they can come with a better whisky. Did it work for them? This entry was posted in Whisky Reviews and tagged Glen Scotia on October 9, 2017 by Yoav @ Whisky Gospel. Today the Campbeltown festival starts and with it a hectic and busy two weeks full of distilleries activities highlighted by Feis Ile 2016 on Islay. It all starts with Glen Scotia open day in Campbeltown and I have a Glen Scotia review for the occasion. Glen Scotia 15 Year Old is a recent release that was released in 2015 as part of the brand re-launch, matured in ex-bourbon casks and bottled at 46%. This entry was posted in Whisky Reviews and tagged Glen Scotia on May 18, 2016 by Yoav @ Whisky Gospel. Time for the last review from the Cask Strength night I had last month – another SMWS expression that will serve as a bridge to a mini series of SMWS bottlings reviews. Today, from Campbeltown, a 11 year old Glen Scotia bottle owned by Shai Gilboa, good friend who also wrote on the blog a guest column on Whisky Live Tel-Aviv. The last Glen Scotia I had (from Wemyss Malts) was a big hit for me (review here) after my first try was a failure. Third time still a charm? This entry was posted in Whisky Reviews and tagged Glen Scotia, SMWS on July 9, 2014 by Yoav @ Whisky Gospel. Another Wemyss Malts single cask from the #WemyssTT3 Tweet Tasting event last week – a Glen Scotia from 1991. It’s my 2nd Glen Scotia and I didn’t like the first one I had (A single cask from Kintra) but I hoped this one change my opinion on the distillery. This entry was posted in Whisky Reviews and tagged Glen Scotia, Tweeter Tasting, Wemyss on May 19, 2014 by Yoav @ Whisky Gospel.